Mortgage Savings: Leaders Seek Refinancing Options Millions of homeowners can't qualify for current low interest rates. If they could, they'd save hundreds of dollars a month on their home loans, which might give them money to spend elsewhere. The president and lawmakers in both parties want to help more homeowners refinance, but critics say it would come at the expense of investors. One proposal for saving homeowners money is to have government-backed firms Fannie Mae and Freddie Mac extend their loan guarantees to cover new, cheaper, refinanced loans. In his jobs speech last week, President Obama also took time to say he wants to help more Americans save money on their mortgages. "To help responsible homeowners, we're going to work with federal housing agencies to help more people refinance their mortgages at interest rates that are now near 4 percent," he said to applause from lawmakers on both sides of the aisle. Millions of American homeowners don't qualify for those low rates. If they did, they'd be saving hundreds of dollars a month on their home loans, which might give them more money to spend elsewhere and help boost the economy. "I know you guys must be for this because that's a step that can put more than $2,000 a year in a family's pocket and give a lift to an economy still burdened by the drop in housing prices," Obama said. At a Senate hearing Wednesday, lawmakers from both parties spoke out in favor of the idea. Democrat Barbara Boxer has introduced legislation with the same aim: allowing millions more Americans to refinance. Homeowners would be able to refinance even if they owe more than their homes are worth. They could also do so regardless of their credit scores. Boxer said people with high interest rates who never missed a mortgage payment as the value of their homes went "down and down and down" should have a chance to refinance at current levels. Proponents say there's a way to do that without more government spending. A bill to provide for the affordable refinancing of mortgages held by Fannie Mae and Freddie Mac. The crux of idea is this: Millions of people are stuck at 6, 7 or 8 percent interest rates, and their loans are already guaranteed by mortgage giants Fannie Mae and Freddie Mac. It would actually be in Fannie and Freddie's best interest to let those people refinance into lower interest rate loans, since that would make the loans more affordable for people and make defaults and foreclosures less likely. That would save Fannie and Freddie money since they need to pay investors to cover losses on loans that they guarantee. So, if Fannie and Freddie simply extended their existing guarantees for these people, to cover new refinanced loans at the current low interest rates, the private sector would make those loans. And proponents say that shouldn't cost taxpayers anything. "I think there are ways to do things here that don't cost taxpayers money — at all, any money," Moody's economist Mark Zandi testified at the hearing. "I think this is one of those things." In fact, since the federal government is propping up Fannie and Freddie, letting so many people refinance could save the government money. 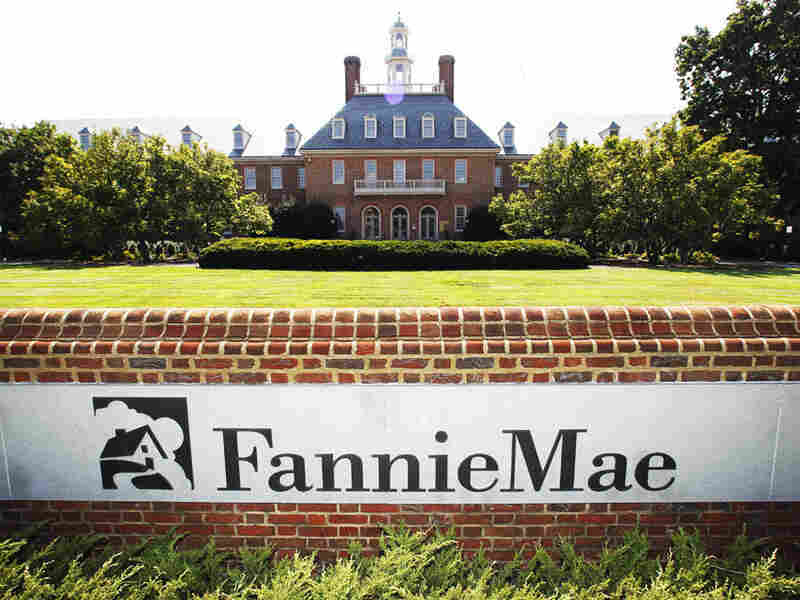 A Congressional Budget Office analysis found Fannie and Freddie would actually make money, Boxer said, "about $100 million, because it would stop many people from defaulting. Right away." Basically, fewer foreclosures could mean less taxpayer bailout money for Fannie and Freddie. Republican Sen. Johnny Isakson of Georgia, a co-sponsor of the bill, said allowing people to qualify for today's low-interest-rate loans would mean fewer people deciding to walk away from their houses. "It does make it less likely that people will use strategic foreclosure as a mechanism to deal with their financial situation, and it should help to stabilize home prices in the long run and the short run," Isakson said. "I think it's something Fannie and Freddie ought to do. If they'll do it tomorrow we're ready for them to do it." Fannie and Freddie don't need an act of Congress to do this, and the Obama administration is pursuing the idea without any new legislation. It would do so by expanding a current federal refinancing program called the Home Affordable Refinance Program, or HARP. Some economists at the hearing had reservations, however. "The question I have in my mind: A mortgage is one person's liability, it's somebody else's asset," Mark Calabria with the conservative-leaning Cato Institute said. In other words, the homeowner would be saving money with a lower interest rate, but an investor in mortgage bonds somewhere was making money off that higher interest rate, so those bondholders would lose money. "So you're increasing somebody's wealth by decreasing their monthly payment; your decreasing somebody else's wealth by reducing their bond payment," Calabria says. "It's not clear to me as an economist that the effect will be any less than zero." But other analysts say the move would take billions of dollars from investors around the world and put that money in the pockets of middle-class Americans, who would go out and spend it. They say that would be stimulative. "This plan would function like a long-term, middle-class tax cut without impacting the budget deficit," said Columbia Business School economist Chris Mayer, who has been proposing the idea for some time. Some critics say the move still wouldn't be fair to those bond investors. It's also still unclear how many people the plan would reach. Everything depends on how it's implemented, Mayer said; you might reach fewer than 1 million people or you might reach 20 million, depending on the details.